Last week, my wife and I and our middle daughter returned from our annual trek back home. I remember reading one story that was headlined “Volunteers share message of life at State Fair.” If you’re not from the Midwest you may not appreciate what a part of the fabric of life state fairs are. Let me lift three paragraphs from that story from long ago which made such an impression on me. Then I’ll briefly reinforce what was said. The State Fair has become an extremely effective venue for spreading the pro-life message. MCCL has presented a pro-life educational booth at the annual event in St. Paul for decades. With attendance of more than 1.7 million people, the fair is a tremendous opportunity to share the message of life with Minnesotans from across the state. 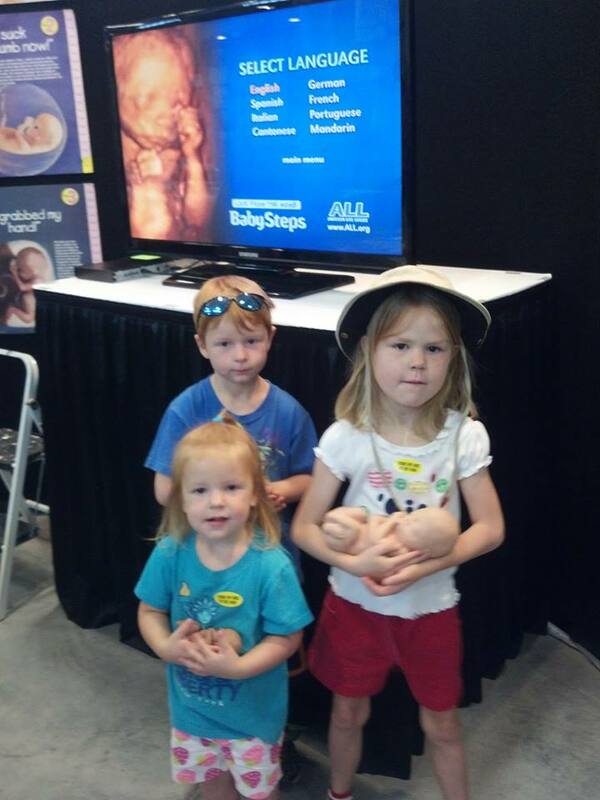 MCCL’s life-size fetal models draw countless numbers of people. Children and adults are fascinated by the beautiful little babies, and many are surprised to learn how lifelike and human they appear even at the earliest stages of development. “The fetal models dispel the false claims of the abortion industry that unborn babies are nothing but blobs of tissue,” explained the MCCL booth coordinator. The last volunteer opportunity my wife Lisa and I had back in Minnesota was working at the MCCL booth at the State Fair. I remember like it was yesterday how young children would approach us and then stop, frozen in their tracks. They would look at the fetal models, ask if they could pick them up, and then be mesmerized as they unwittingly absorbed two inter-related foundational truths: this is how everyone of us looked at the stage of our development and that there is a continuum of life. We are no more, nor any less, human at any given point in fetal development.